A recurring theme in my musings is our passion for preserving history, whether for individuals or organizations. For FotoTechnika‘s first twenty years, our next-door neighbor was Dr. Wayne Wood, optometrist and North Florida historian. Wayne’s passion for history, architecture and his connections with the Jacksonville Historical Society and Riverside Avondale Preservation introduced us to some wonderful people who are passionate about Jacksonville and its history, which in turn sparked our desire to help others preserve their own heritage. Every family has at least one person who squirrels away photos dating back to the Dark Ages, and unfortunately many people find out too late, when going through the family estate, that they have no idea who the people in those treasured photographs were. I know because my mom keeps boxes of our family’s photographic relics under her bed. We’ve organized them some over the years, but some are so old that even she doesn’t know who the subjects are. We started scanning and printing historic images in 2002, so we’ve gotten pretty good at it over the years – the associated processes have become a very significant part of our business. 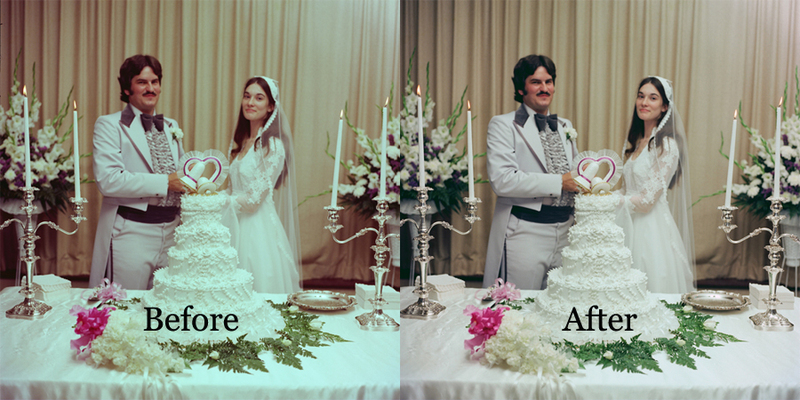 We’ve slowly been working on our own personal projects – like reprinting my mom’s and my own wedding albums, so that the photos are no longer discolored and are now on archival materials. Last Labor Day, weeks before we finished moving the business from our old Lomax location, I emptied some old slide carousels from an estate my grandfather oversaw as executor. Lo and behold, the slides weren’t from the estate but were a treasure trove of slides taken when I was in my early teens. Scanning them will be a trip down memory lane. We have so many more of these kinds of projects to tackle, and if you have similar projects looming, we have some good news for you. In a previous blog, I introduced our Think Inside the Box program to offer folks a variety of ways to preserve images. The box program is an ongoing promotion, but for this Memorial Day, we decided kick it up a notch by running a “Film Amnesty” special. This special allows those of you who, for whatever reason, have hung on to undeveloped color (C41) or B&W negative film over the years to go ahead and get those rolls processed for half our listed price. 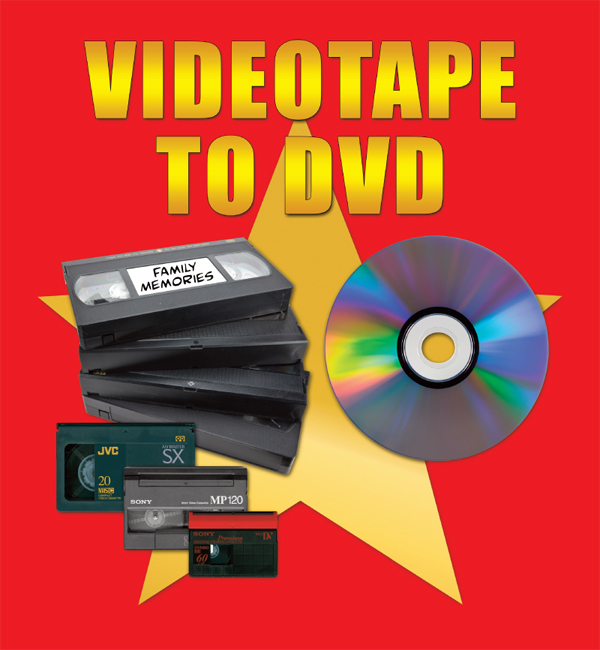 We have sweetened the pot even more by getting our partners over at Easy Edit Video to offer a special on transferring VHS tapes to DVD. Easy Edit normally charges $25.00 per VHS tape to DVD, but on Memorial Day only, we will accept orders for transfers for $10.00 per tape as long as you order a minimum of three. This deal is only good if you bring those tapes to us on May 26th. 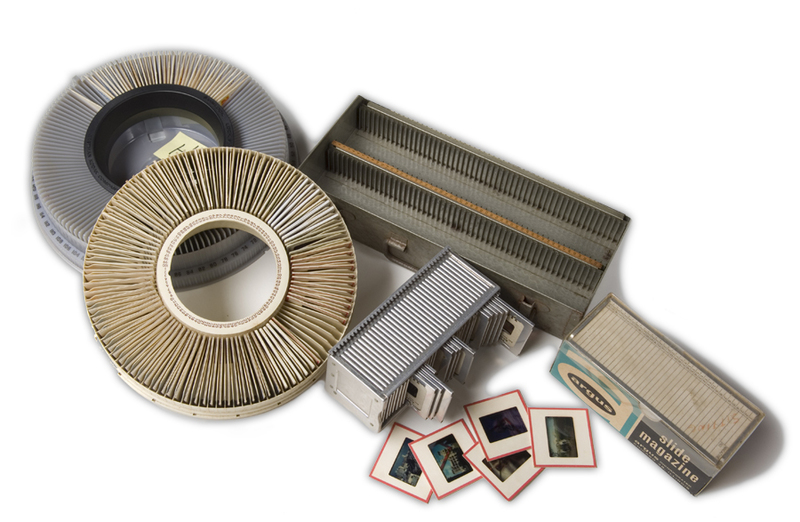 If you have followed our blog or used our services in the past, you know there are all sorts of other services we offer that can be used to preserve family photos. Our new gifting service (access it under the Photo Factory tab here) offers personalized cards, photo books, mugs, puzzles, clothing, jewelry and so much more. 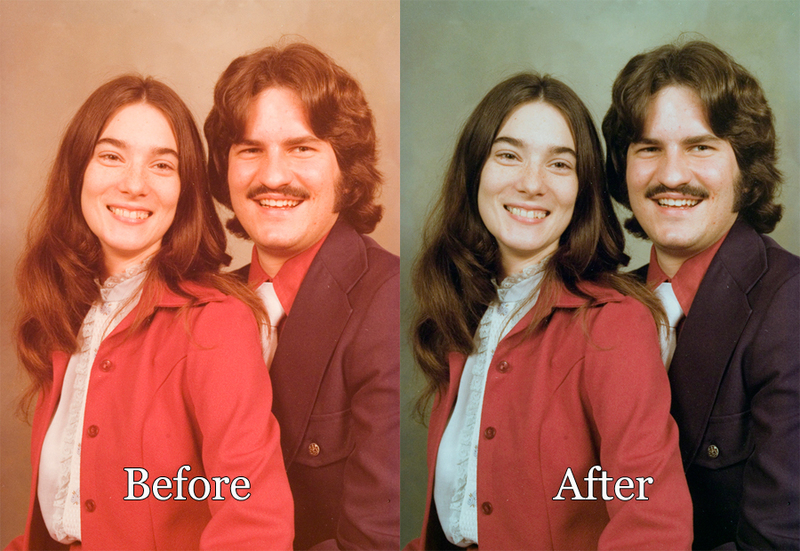 Don’t let your family photos remain a mystery under the bed or in the attic or wherever it is you keep them – let FotoTechnika use our digital restoration know-how and fine art services to turn very average or even damaged photos into heirlooms that your great-grandchildren can enjoy generations from now.